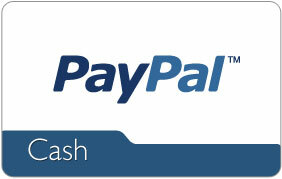 Enter below to win $15 PayPal Cash to see a movie! Make sure to visit all the blogs in the hop for even more chances to win! 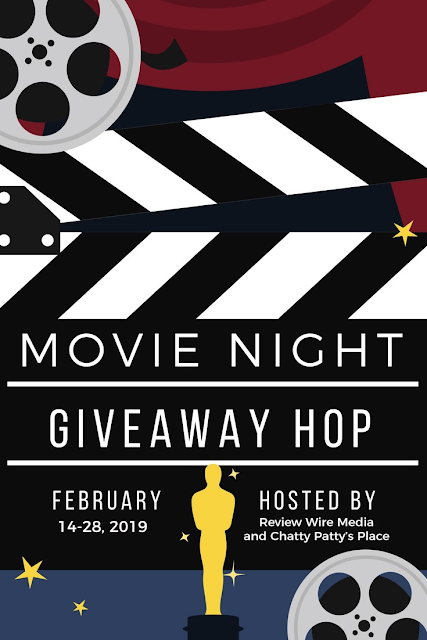 Giveaway begins on 2/14/19 and ends on 2/28/19. Must be 18 years or older, open to residents of the US only. This giveaway is in no way endorsed, affiliated or associated with Facebook, Twitter or any other Social Media Networking Site. Please visit the other blogs in this hop for chances to win more great prizes. I love Black Panther and to have a copy of it for movie night. I would love to see Aquaman. From the giveaway hop I'd say Black Panther, from what's upcoming that I haven't seen definitely Captain Marvel! Thanks for the chance! I would like to see Toy Story 4 when it comes out. I'd love to see the new How to Train your Dragon: the hidden world with my son! I would like to see aquaman. I'm excited to see Toy Story 4! I want to see Stan and Ollie. I am most looking forward to seeing Toy Story 4 when it comes out. I want to see captain marvel! I want to see Captain Marvel. We love movies in our house. Thanks. I would like to see Dumbo. I don't know , what ever my grandchildren would like to see I will be happy with their choice. I'd like to see Mary Poppins. I would like to see Us. I would like to see Captain Marvel! Thank you for the chance to win! I'm excited for Toy story 4 and UglyDolls!! Sonic the hedgehog...my 8 yr old son can't wait till NOVember!!! Earn up to 5 more points by finishing the entry above. Please leave a comment letting us know what movie you would like to see. I would like to see the movie Cold Pursuit. I can't wait for Toy Story 4. I want to see Where'd You Go Bernadette when it comes out. I really liked the book. I would like to see the new Lion King. I would enjoy seeing Cold Pursuit. It's an action movie with a great cast. I would like to see Toy story 4. I want to see Aladdin and Toy Story 4 when they come out! I would like to see Isn't It Romantic. Thanks. I want to see Avengers: Endgame. I would love to see "Minnie Bow Be Mine" with my daughters who love Minnie Mouse! I ant to see Bohemian Rhapsody. I am super excited to see the new Aladdin movie! i already have plans to see captain marvel next month! I'm looking forward to the 2nd Fantastic Beasts movie coming to Redbox next month - I missed it when it was in the theater. I would like to see Dumbo and Captain Marvel. I can't wait to see Dumbo, Aladdin, and Toy Story 4! I want to see Mary Poppins. We would love to see A Dog's Way Home. I really want to see Toy Story 4. I'd love to see Black Panther. I can't wait for Toystory 4. Been dying to see the new Mary Poppins! I would like to see The Lego Movie 2. Oh gosh, so many! Captain Marvel, Avengers, Toy Story 4, Aladdin, Frozen 2, etc. I would love to see A Star is Born! I'm looking forward to seeing Capt Marvel with my hubby & son! im looking forward to captain marvel! I'd like to see Toy Story 4 when it's released. I am crazy excited to see Wreck It Ralph Breaks the Internet! Waiting on the video to arrive! I still haven't seen the new Nutcracker! I cannot wait to see the next Avengers movie! I would love to see Avengers Endgame! I want to see Green Book. Avengers movie for sure! Loved the first half and was disappointed that I had to wait so long for the next. I'm looking forward to Toy Story 4 and the new Avengers movie. I'd like to see Captain Marvel. I'd like to see mary Poppins! I want to see Toy Story 4. I want to see Avengers End Game when it comes out. Id like to see Captain Marvel with my boyfriend. I like to see a nice and intense action film. I’m really excited to see the new How to Train Your Dragon and Medea movies! I'd like to see How to Train Your Dragon. I would like to see Isn't It Romantic. I would love to see Captain Marvel.